19 Trend Busters of which 3 are BUY signals and 16 are SELL signals. 221 Gap Signals -- stocks with upside or downside gaps or gaps that have been closed. 123 are bearish gaps and 98 are bullish gaps. With almost all other Alert HQ indicators looking pretty bearish, we got a huge surge of BUY signals on our Swing Trading signals list on Tuesday. This was the result of a couple of good days that allowed stocks to bounce off their lower Bollinger Band. I read this as a precursor to a rally and predicted that stocks might begin to recover after two weeks of declines. After today's action, though, it looks more like those Swing Signals were a head fake. 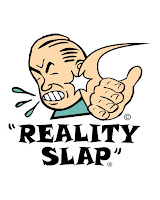 Markets fell a good 3% today and it was a reality slap for TradeRadar. One of the rules of technical analysis is that if you have a promising signal, you should ensure you have confirmation from another indicator. I guess we've proved that you need more than just a batch of Swing Signals to call a rally when everything else is looking weak. Well, things are pretty bearish across the board now at Alert HQ. It's almost surprising that we have any BUY signals when the short-term direction in the stock market has been so severely down. Friday brings the Non-Farm Payrolls report. This might be a last chance for redemption for this market. An upside surprise should halt the slide, a bad report would likely hasten the decline. As I write this, the Nikkei is down over 2% so the morning will dawn in the U.S. with a gloomy cast. If you haven't been stopped out yet (as I have in a few positions) then be careful and watch those support levels!